Matemale house in the village !! Property 7: Matemale house in the village !! 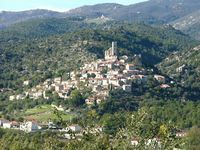 Downtown Gite Limoux Of Character, Close Aude Equipped any comfort. Property 8: Downtown Gite Limoux Of Character, Close Aude Equipped any comfort. Property 13: Luxury 145m2 apartment with view & SPA - 10 pers. 1 bedroom self contained apartment with own entrance and private terrace. Property 20: 1 bedroom self contained apartment with own entrance and private terrace. Enjoy indian summer in beautifull south of France at discount price! Property 30: Enjoy indian summer in beautifull south of France at discount price! Spent five fabulous nights at Jennie and Dennis' apartment. Love the foothills of the pyrenees. Plenty to sights to see. Enjoyed our evening visit with the owners and their friends. I'm ready to go back and we just got home. Great time in this lovely little village, perched on the hill across from the Pic du Canigou. Good base for day hikes around the area. Very comfortable apartment with great front porch to enjoy the long summer evenings. We were really able to &quot;unplug&quot; and enjoy lots of reading, relaxing evenings and lovely views.